Logo for the 2002 show. 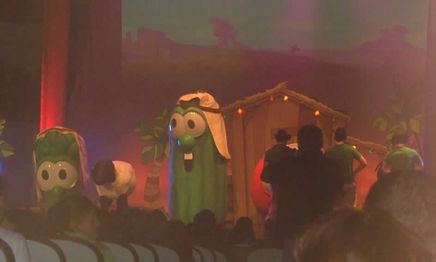 VeggieTales Live! 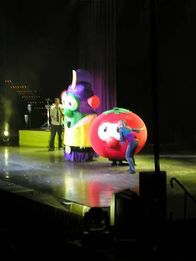 is the live touring show based on the main VeggieTales series. 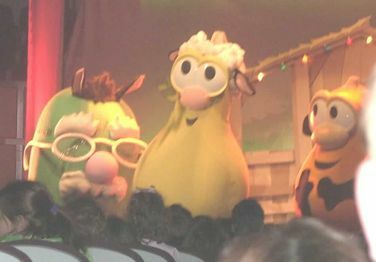 The show opened on January 29, 2002, with the production, VeggieTales Live! On Stage. There have been multiple shows since then. The only live shows that have been released are 2010's Sing Yourself Silly! (which was released in full on DVD) and 2013's Happy Birthday Bob and Larry (which was released by YouTube user joyfulnanny). The rest of the other shows have only been released in separate parts throughout the internet, and with multiple images. Other found media relating to the shows are the live show version of the theme, and the song "A Friend is a Friend" from the 2002 show. There's also some archived versions of the BigIdea and VeggieTales websites showcasing the show, along with some trailers on the YouTube channel and on some old VeggieTales DVDs and VHSs. It is unknown if Big Idea has any full recordings of the shows, but it might be likely since they use some footage in the trailers. A compilation of footage from the 2002 show. Commercial for the 2005 show. Commercial for the 2008 show. One of the lost songs from the 2002 show. Time lapse of the 2008 show. Behind the scenes look at the 2002 show. Footage from the 2005 show. More footage from the 2005 show. Alternate trailer for the 2005 show. LarryBoy at the 2005 show. 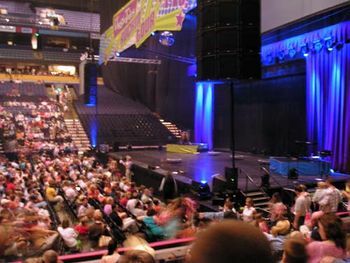 Stage from the 2005 show. 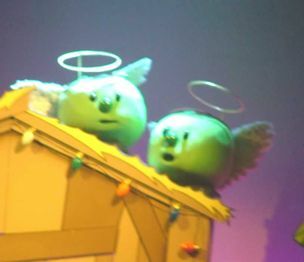 Pea Angels from the 2006 show. 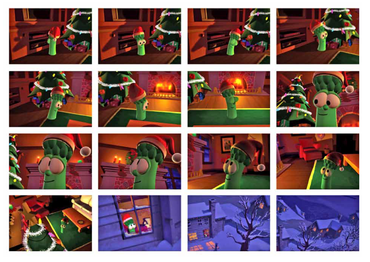 Stills from animated segment shown at the 2006 show.